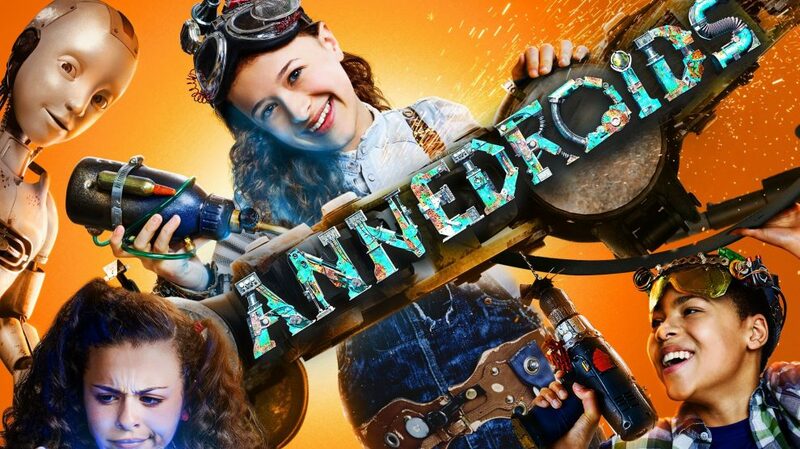 If your kids haven’t had a chance to check out the Emmy nominated show Annedroids yet, they are definitely missing out! Season 1 & 2 are on Amazon Prime already, so you can catch up in time for Season 3’s release this week. Annedroids is about a female role model named Anne, who (like some people I know.. ahem… me) is hyper analytical and through trial and error takes a scientific approach to everything. Her and her friends Nick and Shania use STEM curriculum (Science, Technology, Engineering and Math) to solve their every day problems (and some not so every day problems). Anne builds robots and gives them artificial intelligence, hence the play on words with her name Anne and the word androids. It reminded me a lot of a show I used to love as a kid called Ghostwriter. In Ghostwriter, the kids interacted with a “ghost” that lived in the computer to help them solve “crimes” in the school. 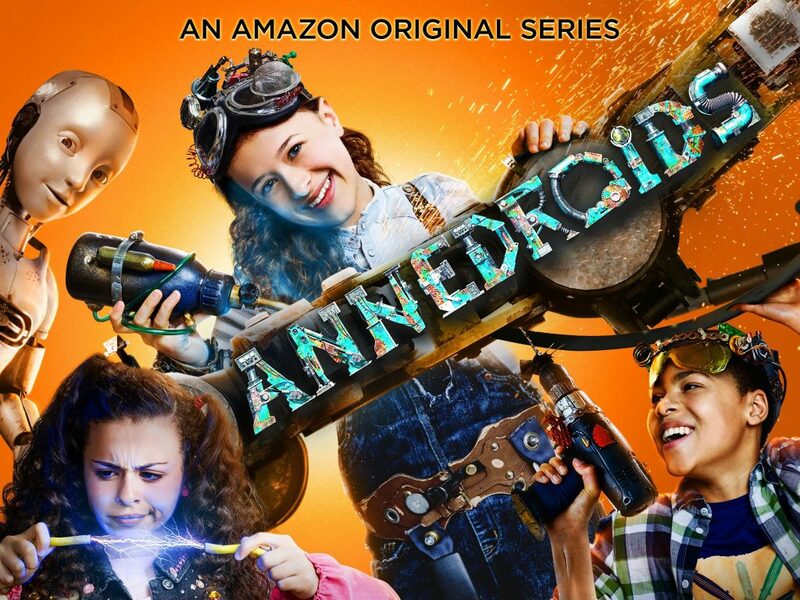 In Annedroids the kids interact with these robots that Anne has created, and use the scientific process, even when trying to figure real life things like friendship. I love that it shows them how to take these kinds of problem solving, so the process gets ingrained into the kids minds as a way to approach any problem or issue they will end up facing. Another thing I love about the show, is that the adults aren’t portrayed as idiots (as they are on MANY other live action shows), and are actually people the kids go to for advice and help. I, of course, also love that the show’s main scientific force is a girl. As a female in tech, I am always trying to encourage girls to get excited about science and technology. You can always count on my daughter to be the one to bring something totally science related as a present to a birthday party, and she doesn’t get a lot of support from other girls in her class. This show has helped her to see that girls can LOVE science, and be really good at it! I love that it gives her someone to look up to, and to show her that she’s not so alone. Maybe it can even encourage some of the girls she is friends with to show more of an interest in STEM topics too! Win win! In addition to the 3 main Annedroids, this season we get a new Annedroid that looks like a dog and uses hearing (or echo location) to help the team. The other Annedroids use other senses including sight, and touch (aptly named Hand and Eye). I won’t give too much away about the new season, so you will just have to watch to see if they can save Anne’s robot named PAL! Check out this trailer for the new season, and if you aren’t caught up yet… what are you waiting for? ?